Thankfully in the UK we do not have too many hailstorms, yet when we do the amount of damage caused to vehicles can be phenomenal. DentShifter are the UK’s leading specialist hailstorm repairs company, with many years of experience. Your dedicated local hail storm damage repair specialist, we are always on hand to repair your vehicle after a major storm, this can be hail or where something has fallen on your vehicle. IMI accredited and under take regular professional competence assessments. Mobile – we are available to visit you to undertake your car and hailstorm repair service – convenience for you. Committed to providing the highest standard of hailstorm repair service in the fastest time possible. Available to provide “fast quote” simply text an image of your car to 07747 871289 and we will call you back to talk you through the process and provide a free quotation. Committed to walk you through every aspect of the hailstorm repair and talk you through the process from beginning to end to ensure you are happy with the quality of the work we undertake. DentShifter have undertaken hailstorm repairs using the painless Dent Removal process all over the North West, on behalf of insurance organizations and major fleet vehicle managers. It pays to choose wisely when selecting your technician to remove this kind of damage. 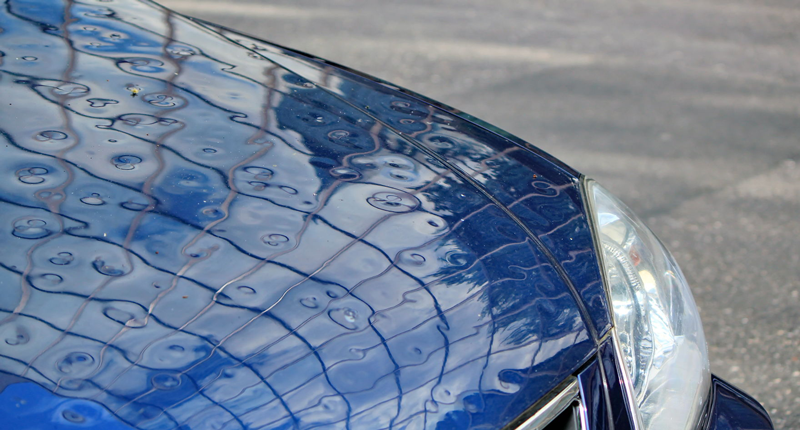 Get in touch or call 07747 871289 to request your free, no obligation hail storm dent repair quote today.